We also offer a wide range ofHanging Lantern for various purposes in various industries. Capitalizing on the ability of our skilled personnel, we are keenly instrumental in delivering a comprehensive array of Colored Handmade Lanterns. Description :We manufacture Akashkandil, ie. the Traditional Indian Lantern It is a Eco-friendly product available in various colors and sizes. these are beautiful and artistic akashkandil, made from Fabric and wood. we also manufacture paper and bamboo lanterns. 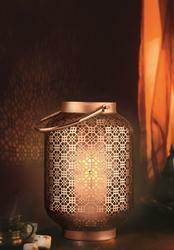 The Lantern (kandeel) is indispensable for Diwali the Indian festival of lights. 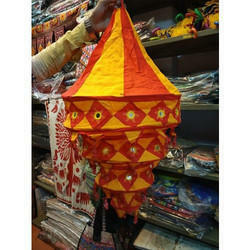 Celebrate this Diwali with this handmade cloth Traditional Lantern.